Well, it went into the “remake it pile” when I purged my closet. I initially cut it apart with the intention of making another dress, but that went out the window once I’d laid out all the pieces and realized only the skirt was really going to be salvageable. 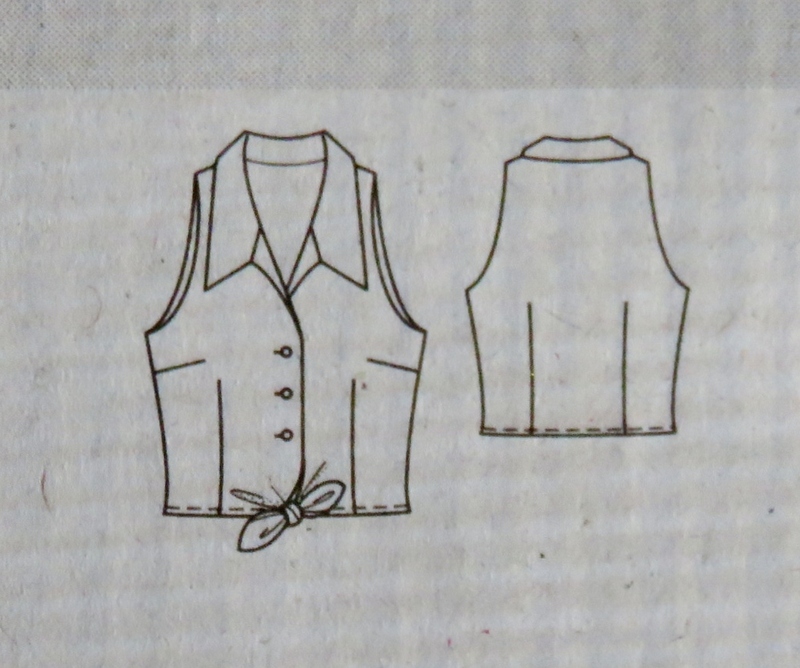 So I traced off this little sleeveless number from Burda’s 2012 FW Classics issue. There was just enough to squeeze it out, although I did end up piecing some of the facing. I lengthened the back by an extra 4cm, hemming it with right-angle corners instead of grading it to meet the front length. It means I can tuck it in securely at the back, or, when it is left untucked, have sufficient coverage when I sit or bend over. I’m quite happy with this little top, especially the collar. And quite happy that I have a garment which will see more wear than the dress ever did. Your projects are consistently impressive. I’m copying links to all of these patterns! I love the collar on this and the fabric is so pretty. I usually don’t wear sleeveless because I’m self-conscious about any gape around the arms (due to my still-weak fitting skills around the shoulders and bust area), but I’m going to give this one a try next summer. PS I feel the same way about navy blue – my alternative to black, which doesn’t suit me at all. Another amazing transformation! And like the others, I’m drawn to the beautiful colors in this top – such a nice softness to it. Your new top is very flattering and you look so happy wearing it. Thank you! The colours in the fabric are my ‘happy’ colours. Great remake! Looks awesome with your skirt. Very cute! Nice job with it! Can’t believe how nice the red is with the brown. Thanks! Brown is my black, and, imho, goes with everything. Such a cute top! Love the front tie. Another great save. Very cute outfit. And your longer back hem addition is an excellent idea. Thanks for sharing. You’re on a roll! And such an inspiration – I’ve cleared out a few items for salvage but that’s as far as I’ve got. It is hard to salvage when there’s so many new things to sew, but this was easy and the fabric called to me! I like it a lot! And the hemming idea is great – I always get annoyed with the back of those knot type tops. Just darling, Tia. It is so young and refreshing and with your great arms…a win/win. The brown skirt really blends well too…who knew?